Rick Singer walked into Federal Court. 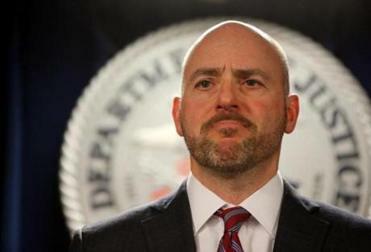 The US attorney’s office in Massachusetts has released a list of names of those charged in a nationwide college admissions cheating and recruitment scheme. Here’s a look at who has been named, who they are, and the charges they face. 1. William Rick Singer, 58, of Newport Beach, Calif., owner of the Edge College Career Network and CEO of the Key Worldwide Foundation, was charged in an Information with racketeering conspiracy, money laundering conspiracy, conspiracy to defraud the United States, and obstruction of justice. He pleaded guilty in Boston before US District Court Judge Rya W. Zobel on Tuesday at 2:30 p.m.
2. Mark Riddell, 36, of Palmetto, Fla., a counselor at a private school in Bradenton, Fla., was charged in an Information with conspiracy to commit mail fraud and honest services mail fraud as well as conspiracy to commit money laundering. Dozens of people are facing charges in what the US Attorney in Mass. called “the largest college admission scam ever prosecuted by the Department of Justice.” Here’s how the scheme worked. 3. Rudolph “Rudy” Meredith, 51, of Madison, Conn., the former head women’s soccer coach at Yale University, was charged in an Information with conspiracy to commit wire fraud and honest services wire fraud as well as honest services wire fraud. 4. 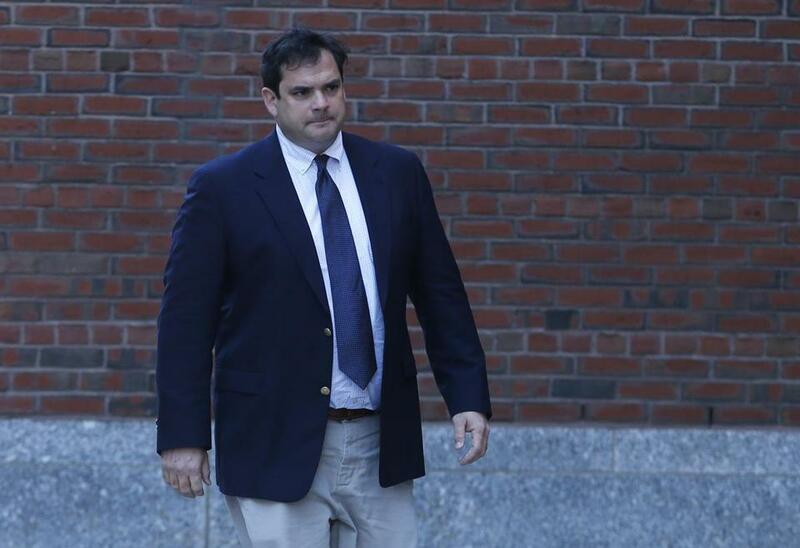 John Vandemoer, 41, of Stanford, Calif., the former sailing coach at Stanford University, was charged in an Information with racketeering conspiracy and was expected to plead guilty in Boston before US District Court Judge Rya W. Zobel on Tuesday at 3 p.m.
John Vandemoer walked into Federal Court. 5. 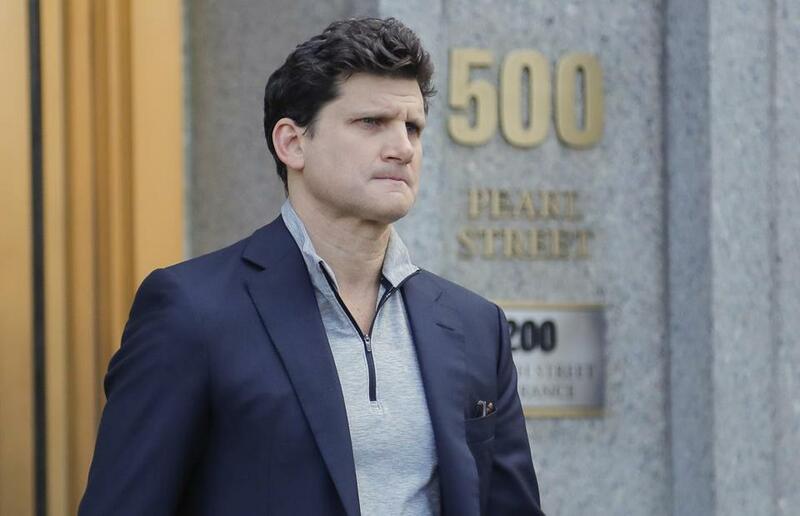 David Sidoo, 59, of Vancouver, Canada, was charged in an indictment with conspiracy to commit mail and wire fraud. Sidoo was arrested on Friday, March 8th in San Jose, Calif., and appeared in US District Court for the Northern District of California on Monday. A date for his initial appearance in federal court in Boston has not yet been scheduled. 20. Marcia Abbott, 59, of New York, N.Y.
Gordon Caplan of Greenwich, Conn., walked out of federal court Tuesday. 27. Amy Colburn, 59, of Palo Alto, Calif.
28. Gregory Colburn, 61, of Palo Alto, Calif.
31. 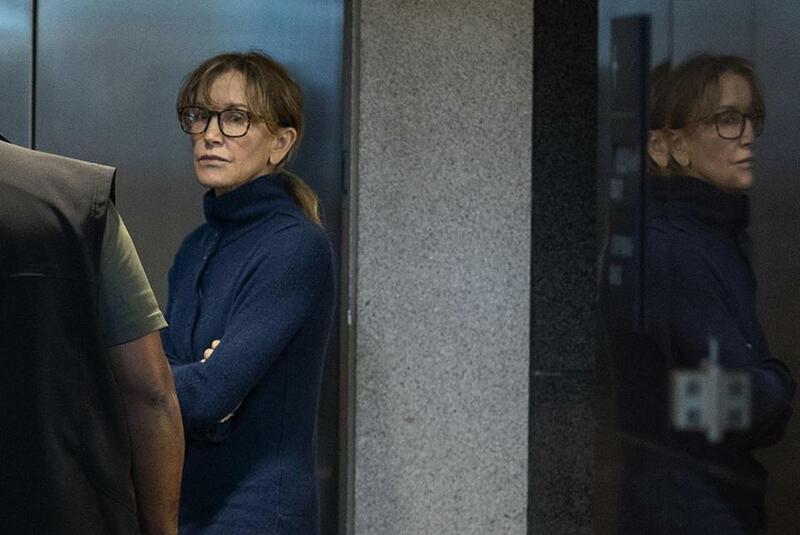 Elizabeth Henriquez, 56, of Atherton, Calif.
Actress Felicity Huffman is seen inside the Edward R. Roybal Federal Building and U.S. Courthouse in Los Angeles on Tuesday. 37. Davina Isackson, 55, of Hillsborough, Calif.